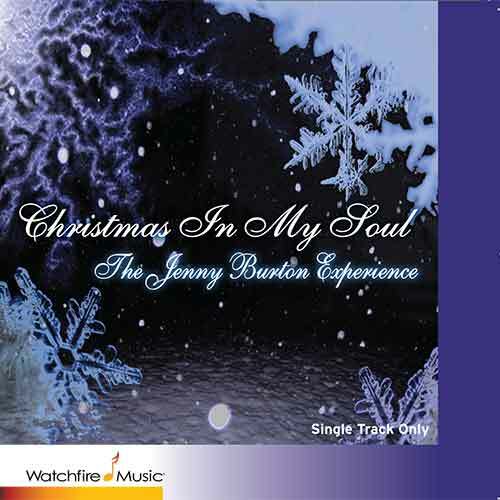 Celebrate your holiday season with the single Christmas In My Soul, written by Peter Link and performed by The Jenny Burton Experience. Don’t miss the Christmas magic that’s sure to be a great addition to your holiday music collection! Jenny Burton is an amazing Gospel vocalist whose career has spanned several decades. She has sung all over the world as both a solo performer and with The Jenny Burton Experience. Produced almost exclusively by Peter Link, she has had a long and varied career as both a Dance Music/R&B artist and a Gospel artist. A consummate performer, Ms Burton has thrilled and inspired audiences around the world with her inimitable style of tear down the house energy and commitment. Daughter of a South Bronx minister, Jenny brings to her music a passion and devotion making Inspirational music at its best. ‘Christmas In My Soul”, remains to this day, one of my favorites. It was a wonderful song to both record and perform with “The Jenny Burton Experince”. Thank you Watchfire for sharing. Thanks, Jenny. YOU are one of my favorites! I, too, really love this song and this singer. Thanks for bringing us your perennial Christmas Cheer and Good Wishes, Jenny Burton! And thanks for writing this, Peter Link! How delightful to listen to this song.